It's a great Christmas as today I am reading from a very informative book on the bromoil that came out in 2006. It is a great book that highlights the chemical mixtures I will need to do as well as getting me reacquainted with all of the application techniques and instruments used. Reading this book brings me back to my phase in 2004 when all I did were Bromoils , and I really learned so much about postproduction with fine art photography, little-known to me at that point. From 1997 until 2003 I stuck with traditional black-and-white printing in the dark room with maybe just a slight alternative process toning at the end of the process. 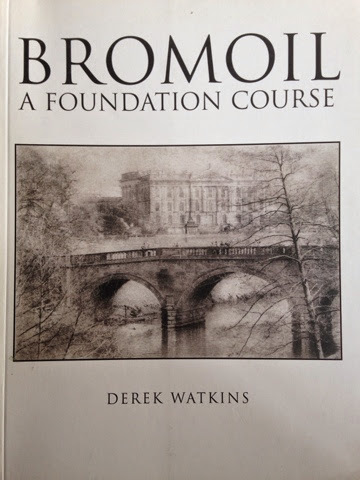 I'm also reading another book about the bromoil that was put out in 1923. This book is more about the aesthetic standpoint of the photographers that I just rediscovered bromoil after it's "comeback" in 1907. Reading these two books in tandem is a great way to learn the history and the newer techniques and combined them as I approach my rediscovery with this project.